One of the men by the campfire became hostile, insisting that American elections are squeaky clean. Always. I said that when they open the machines at the end of the evening, we have no more way of knowing that the count is accurate than if there are Martians living on the dark side of the moon. It only happens rarely, but I got some support that night, from another CPA. Indeed, he said, results that cannot be independently verified cannot be trusted. 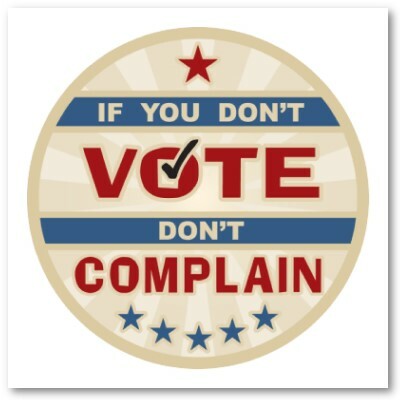 I catch a lot of flack because, for the most part, I don’t vote. It’s a rite of passage, like peeing on a gravestone to join a fraternity. I see people wearing buttons on election day saying “I voted,” and think, well, I petted a puppy today. Same difference. But I still get upset, and cannot help it. Our system of counting votes is so in-your-face corrupt that it is insulting to our national intelligence. I realize the implications of that statement. “…implications of the Kennedy murder.” Those who read this blog regularly know that 11/22/63 was a military coup d’état, and here is yet more fallout. The “intelligence services” (CIA), when they murdered the president, also stepped into the election system … there must have been a decision that since the executive was overthrown, that the election system had to be compromised* too, to prevent any undoing of the coup. That would make sense. Folks, please come to your senses. If you cannot independently verify the vote on election night, you cannot trust the result. If the result cannot be trusted, then voting will not solve our problems. Faith will get you to heaven, but will not give a clean election outcome. Other means are needed. Suggestions are welcome. *Election theft is an American tradition. I am well aware that JFK himself was probably elected due to the power and influence of his mafia-don-like father. It is not easy to be self-righteous in this country. Giving up is not an option IMO. Look at us! See how weak we are! If people want to stand on street corners holding signs, I think that’s fine, and far better than doing nothing at all. What method one chooses is less important than choosing something to do, and doing it. All dissent is good dissent IMO, especially in the face of overwhelming, corrupt power. I agree people are free to do as they choose, but strategy requires the limited resources be directed to garner as large an impact as possible, and holding signs on a street corner does not get it done. I agree, Steve K. People who wait for a perfect plan, a perfect strategy will wait forever. It always starts with someone actually doing something. Those who do nothing just have a fear of failure. They see personal failure as worse than tyranny and worse than social injustice. The ability to sit it out because it might not work is exactly what the PTB rely on. That ability to do nothing in the face of what is obviously wrong just insures wrong will win. Almost everyone I have ever heard who went from inactive to active starts out by saying “I heard so and so speak” or “I read this or that book” or saw a movie. Stone’s JFK was a huge catalyst. But no one says “I was driving down a street one day and saw a guy with a sign.” That is wasted effort. The thing that drives people from inaction to action is information. That is why mainstream media is so ferocious in clamping down on any possible leak of dissent into their venues. Everything is heavily one-sided. So the question is, how to reach people with information. If enough people are reached, a few will be motivated. In the sixties, one strategy was the “teach-in” with well-groomed students handing out literature and answering questions. These days an agent provocateur would quickly show up, but it is still a good strategy. The Internet has also been a valuable resource, though we don’t hear much about its success, only that Internet information is somehow inferior to mainstream news, a laughable proposition. I won’t say street demonstrations are useless – the massive ones of the sixties were indeed effective. But a small group of people with no ideas holding up placards does nothing more than advertise weakness. All true. However I think the human spirit is moved to act one spirit at a time. I grew up in a small Quaker town where a lot of people did a lot to different things. That created due respect for what could happen if all those “raindrops” ever got together for a single cause. Civic action needs civic-minded people — but still one mind per person. I used to do one-man protests at the Bozeman Post Office. Usually I could get at least one tv station and the newspaper to come and ask a few questions. Enough people would stop long enough after getting their mail that it looked pretty convincing on the 6 o’clock news. One person can do way more than another might think. I think of it more like a mouse waiting for those giant doors to open. I’m going to be there when it happens. If others “want in” too, there’s only one way I know of to make that happen. You’ve gotta’ be there. Luck plays a much bigger role than “effective” action. As long as we have enough ‘ineffective actions” then with luck, one or two might go viral so to speak. If we have no ineffective actions” we will never have an “effective” one. Let me ask you this, Mark. After the TV news covered the highway clean-up politics clean- up action what changed? Did the Greens get a ballot line in MT? Did Nadar win the state, almost win the state, become president? No, but the highway was a little cleaner for a little while. It would be easy to say your action achieved nothing. But I wouldn’t say that because I know it’s not true. What it achieved is unquantifiable, but the fact that someone did something changed things even if just a little bit. While I completely agree with the idea of maximizing effort through collaboration and planning is a good thing, often that comes as a result of experience. Experience at being ineffective is a very valuable teaching tool for activists to become better activists. Nothing advertises weakness as much as doing nothing and saying nothing. Sometimes holding a sign is an individual’s first attempt to confront power head on. It may or may not have an impact on an issue, policy, or the public. But it serves as way for people to begin empowering themselves to think differently. It also serves to create affinity. Once you have an affinity group of people willing to speak truth to power, you have the seeds of a revolution. That doesn’t mean it will happen, or that anything will change at all. But it gets people beyond the mindset of powerlessness, where they believe they may be able to do something. Sometimes holding a sign is just another way of flipping off society or the government, or the corporation. It channels one’s energy, or a groups energy in a public space. Back in 1988, a group of us demonstrated at a local motel where John Melcher was speaking during the campaign against Conrad Burns. We were protesting Melcher’s getting into bed with the petroleum industry, and one protestor had a sign with a likeness of John Melcher in cowboy boots, but one leg of an oil derrick was inside of one of the boots, pinning John down. That image was used in an evening news report statewide on one of the majors tv news outlets. The clip then became part of the lead in for the election coverage for the next few months leading up to the election. The message was clear, John Melcher had been corrupted by the oil industry. The rest is history. Melcher lost. But lots other things were born out of those who protested. Stories for another day. I realize it takes courage to demonstrate in public. But is it smart? The point would be to use leverage, usually free TV, to get an idea before the public. But the TV people are wise to that, and go to great lengths to highlight the crazies, the dreadlocks and beards and t-shirts, so that it is counterproductive. Worse yet, it is perfect for agents provocateur, as Seattle in 1999 clearly showed. If signs and demonstrations are your thing, I urge you to 1) choose easily understood issues that can be capsulized by clever wording on a sign; 2) be clever (SK’s strength, in my opinion); 3) control your images, meaning keeping the freaks under control, and 4) watch out for police plants. Your Melcher story demonstrates that the political system is a futile avenue for change. You got rid of a bad apple, and we got in return another bad apple. Well, our goal back then wasn’t to get rid of Melcher. It was to address corruption in general and the corrupting influence of oil. That Melcher lost was incidental. I’ve long since put aside signs and slogans. I’ve had my run-ins with provocateurs and problem children, and don’t need to expend my energies babysitting neophyte activists. My focus is elsewhere. But back to Melcher. The 18 years that Burns was Senator brought with it the unintended benefit of him crushing every piece of legislation that attempted to release vast quantities of roadless lands in order to designate a bit of rocks and ice with some memorialization (i.e. “Lee Metcalf WIlderness). It wasn’t until Tester lied to the enviro community to win the election in ’06 that the dems got to work whittling away at roadless areas again. Melcher surely would have succeeded working out a deal with Baucus, Williams and Rehberg eventually to do what Tester has done, and continues to do. So while the political system may be a futile avenue for certain kinds of change, it definitely can provide an advantage to throw the monkey wrench into the avenues of change (taking out a corrupt politician like Melcher) when it comes to protecting roadless lands. No legislation releasing roadless lands is better than any legislation that treats wilderness designation as a tradeoff for destroying de facto wilderness with hard release language. And now the compromisers step in and say… but, but… bipartisanshit and all.